How can I change the amount of mobs spawned? I already set the "spawn chance" to 0.1 but there are still way too many mobs spawning at night. Edit: Okay, I set the chance to 0 and there is still a shitload of mobs spawning. Help? Try to set the min spawn amount to 0 and the max spawn amount to 1. For creeper part, I have a little advice. When I test it, I found the creeper will be invisible when it is very closed to player. At the same time, there are some particles appearing at the position where the creeper disappeared. I suggest 3 points. 1. Disappeared at farther position. 3. Maybe if the creeper can change its route approaching players after it hides, it can be more challengeful. Is there any chance of a 1.7.10 version? I'd love to play this alongside mods like Epic Siege Mod, but am unable to since that's for 1.7.10. No, sorry! Between 1.7.10 and 1.9 are many changes and I would have to completely remake some parts of the mod. Neat mod! I've been getting crashes every time I set up a spawn entry without a specific biome though. Running Biomes 'O' Plenty alongside this mod. I don't crash if I set a specific biome. 1.0.5 should fix the problem. Sorry! Thank you so much! I've had buckets and barrels of fun with this mod. I set enemies to sometimes spawn with pumpkins on their heads and now I have a very treasured enchanted pumpkin. Hey ! First thing first, you made a great mod, good job. 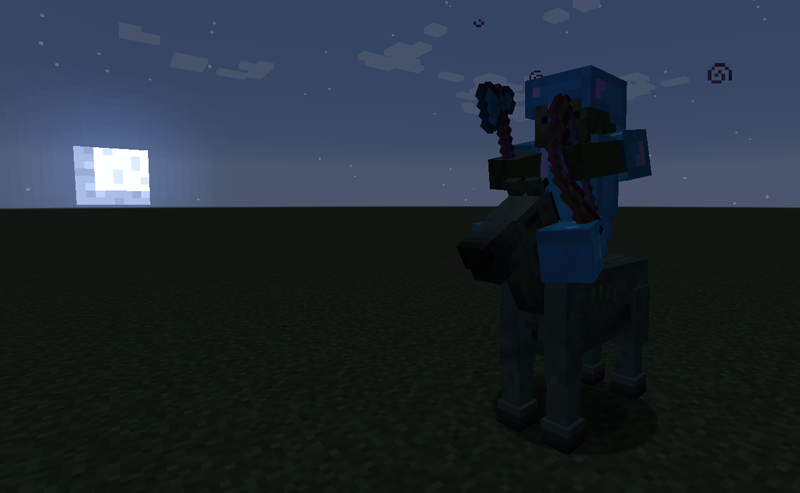 Note: i do not have other mod that change the HP of base mobs. Very strange. It works well on 1.9.4 for me. Can you send me a link to the modpack or the modlist (Should be displayed on minecraft start)? It could be a mod incompatibility.